The last Monday of January marks Bubble Wrap Appreciation Day, which, according to Huffington Post, began eight years ago in Bloomington, Indiana, which I’m sure was accompanied by festivities. So what should we do for the special day without using floats and confetti? According to nationaldaycalendar.com, we should wrap something in Bubble Wrap or have fun popping some. Being a curious person, I wanted to appreciate Bubble Wrap by acknowledging all its accomplishments in the last half century. When Alfred W. Fielding and Marc Chavannes set out to create a wall covering in the late ’50s, their intent was to create an insulation product for what would eventually become Sealed Air Corporation. Their product obviously took a different path, but these magic bubbles continued to have this runner-up property. Let’s say you’re holed up in your house because of the frigid Arctic blast, aka Polar Vortex, that’s sweeping through the Midwest and East Coast right now. According to builditsolar.com’s host and retired airplane product development engineer Gary Reysa, you can insulate your windows with Bubble Wrap. Simply cut the plastic material to size, spray a bit of water onto the window, and then set the plastic in place with the bubbles facing the window. The water will help the plastic stay in place. Gary points out in mathematical detail how he saved $1.65 per season per square foot of window on heating costs. The insulating bubbles can also help your car during the cold season. You can prevent frost on your windshield by laying down a sheet of Bubble Wrap on your windshield and then securing it with your wipers. This prevents frost and snow from collecting. More importantly, it prevents nippy fingers from having to scrape your windshield with whatever edged object you can find in your car, which, more often than not, happens to be your least-favorite music CD – not that that has ever happened to me. There’s something to be said about the texture of Bubble Wrap. The circular bubbles fit together in a hexagonal, interlocking pattern like a honeycomb. If you search online, you’ll find many applications for a honeycomb pattern on all sorts of food from chocolate to cakes. 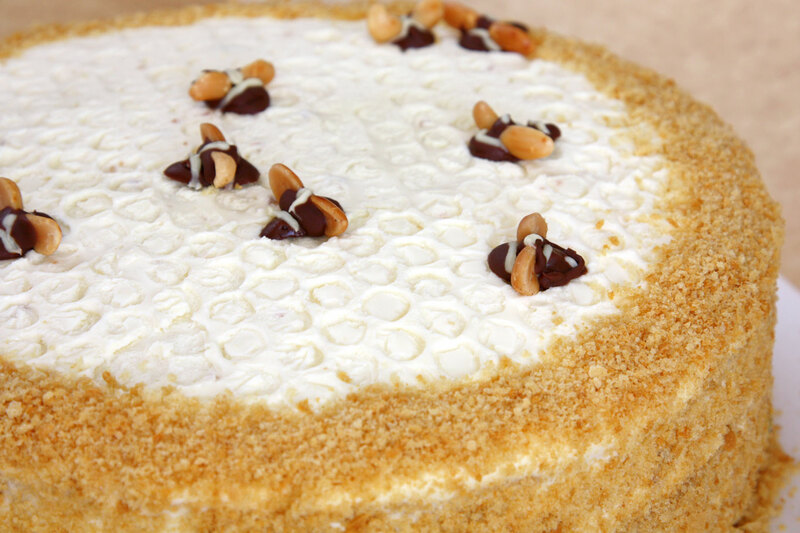 My favorite by far is the beehive cheesecake from tastemade.com. In my Bubble Wrap application search, I discovered bubble art – the art of painstakingly injecting acrylic paint into the bubbles. I can’t say for sure when this art form began, but one of the most intriguing and talented artists of this niche is Bradley Hart. Check out this quick video of Hart carefully inserting colors into each individual bubble. There are also opportunities for kids to engage in different forms of bubble art. These two similar lessons from Amy Christie on momtastic.com and Karyn Tipp of teachbesideme.com teach kids about primary colors and show firsthand how colors change when mixed together or lightened with water. For a younger crowd, Barbara Rucci of artbarblog.com offers what she calls Bubble Wrap printing. All you do is secure Bubble Wrap around a paint roller – it ends up looking like plastic corn on the cob. Kids collect paint on the roller and then unleash their painting genius on a desired medium, ideally one designated by the teacher. Check out the link to see pictures of Rucci’s five-year-old artists and their masterpieces! I’ve talked about Bubble Wrap’s insulation and artistic properties, but what about its character, stage presence, and the quality that’s woven into every inch of its fiber? Let’s take a look at high school movies with student extras. They stroll through campus wearing seemingly full backpacks. Producers and directors could order textbooks and three-ring binders filled with college-ruled paper for these mock students, but they don’t have a budget for that; instead, they stuff backpacks with Bubble Wrap, according to actor Dillon Francis. Dillon adds, “A fun way to distract yourself in downtime was to open up your backpack and pop bubbles.” For the rest of us who have no reason to lug around a backpack with fake contents, one structural hack is to use the plastic material to reshape handbags or purses that have been worn out of shape. Now that’s a bubble with integrity! According to a 2014 paper by Harvard University researchers, Bubble Wrap is an economic way of storing liquid samples. The bubbles are transparent, sterile, permeable to gases; can culture/store microorganisms; and can be sealed using the proper materials. The economic cost of the material makes it a practical way to collect samples in logistically challenging areas. MIT researchers in 2016 set out to create a low-tech “solar vapor generator” using basic concepts of a solar still – a type of device that leverages solar energy and heat to generate vapors and produce potable water. During implementation, the researchers encountered a problem in which wind and convection caused the needed heat to escape from the device. Their final solution was to replace expensive mirrors with Bubble Wrap. The result? A relatively inexpensive device that could heat water to 100ºC (212ºF) on a cool day. Some believe this could play a role in desalinating water in underdeveloped parts of the world. 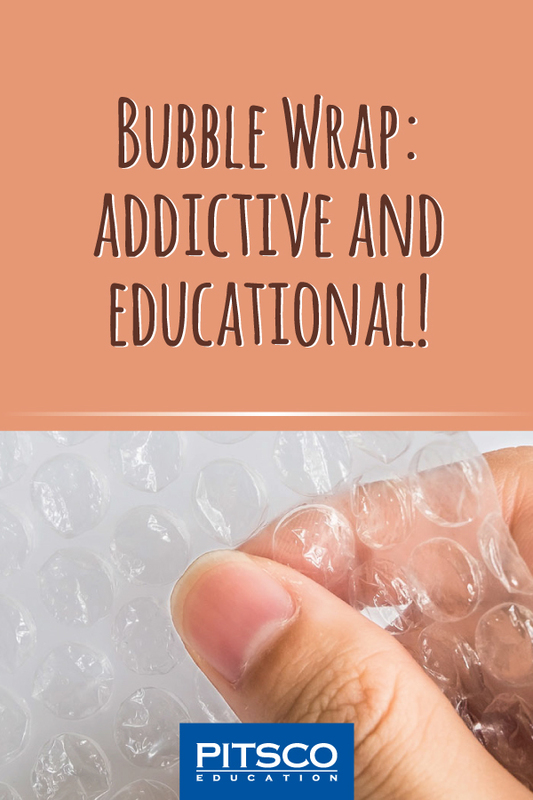 When I began my Bubble Wrap journey, little did I know it could save me money during the winter, decorate yummy food, teach kids about colors, get screen time in Hollywood, and possibly solve the water crisis in third-world countries. I hope you can now appreciate the magic behind these bubbles too. If not, surely we can all appreciate getting our packages in one piece! One last note. When you’re done life hacking, be sure to recycle. The material is made of a low-density polyethylene (LPDE) #4 plastic and can be recycled along with plastic produce bags. If you don’t have recycling services, you can send the material to Sealed Air at one of its seven locations in the US. Bubble Wrap responsibly! 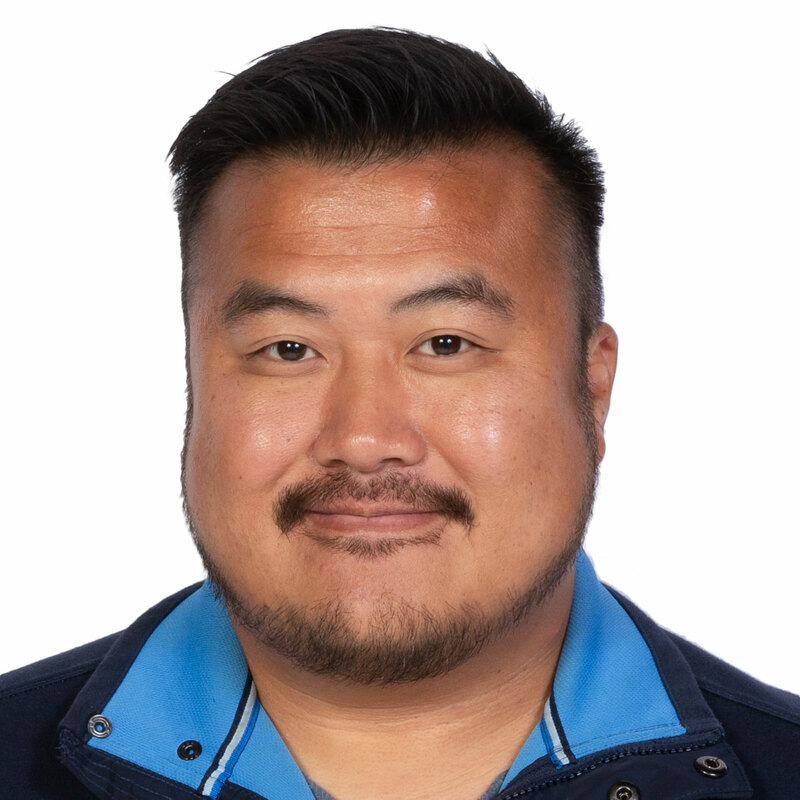 As a research specialist at Pitsco, I stay up-to-date on the education curriculum industry and am part of a fun and dynamic team. I graduated from MSSU’s Computer Information Systems program and have a background in research analysis – a career in the US Army took me from Washington State to many places throughout the US. But my wife and I now call Missouri home, where we enjoy raising our two little ones. In my spare time, I can be found learning to play guitar, singing karaoke, playing video games, and coding.